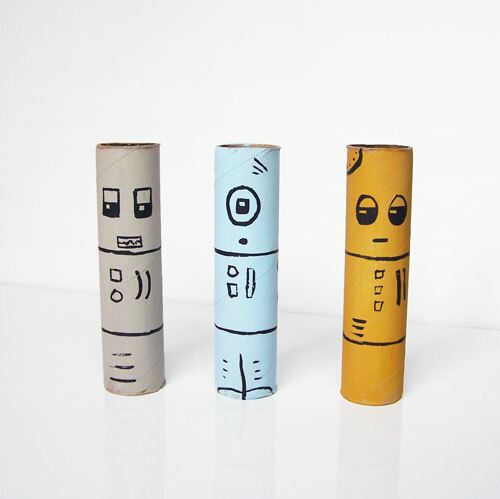 Have you ever noticed that sometimes it’s the simplest projects that turn out to be the most fun? 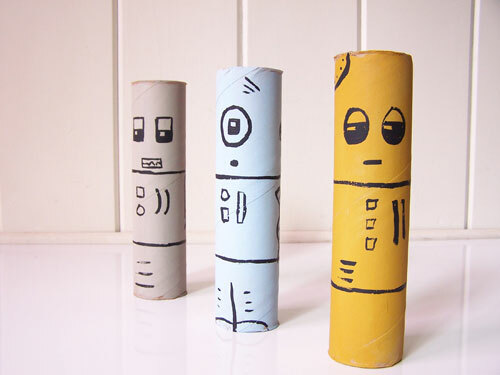 I had these fun cardboard tubes lying around, just waiting to be used for a project. 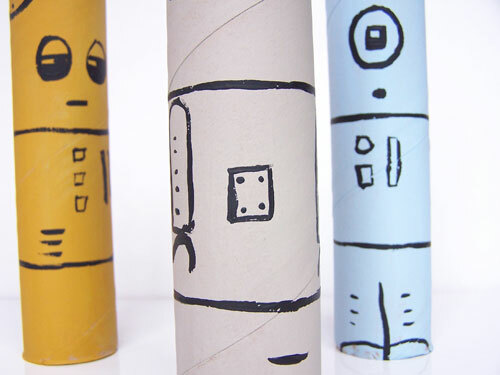 They’re a bit more sturdy than your average paper towel rolls. I’ve been trying to come up with something to do with them. I had my paints out this week, and decided they would make some fun looking robots. 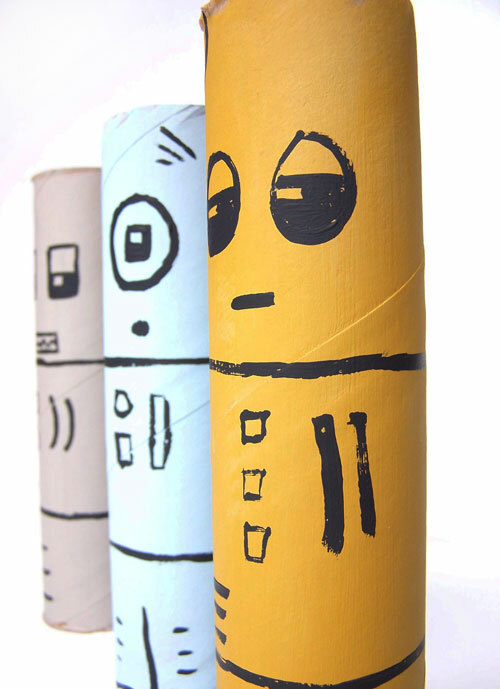 These make a great craft to do with kids, or would make some fun decor for a robot birthday party. You wouldn’t believe how excited my three year old got when he first saw them. He wandered in after his nap and yelled “ROBOTS!” He ran to grab them, and I only just stopped him in time, since the paint wasn’t quite dry yet. 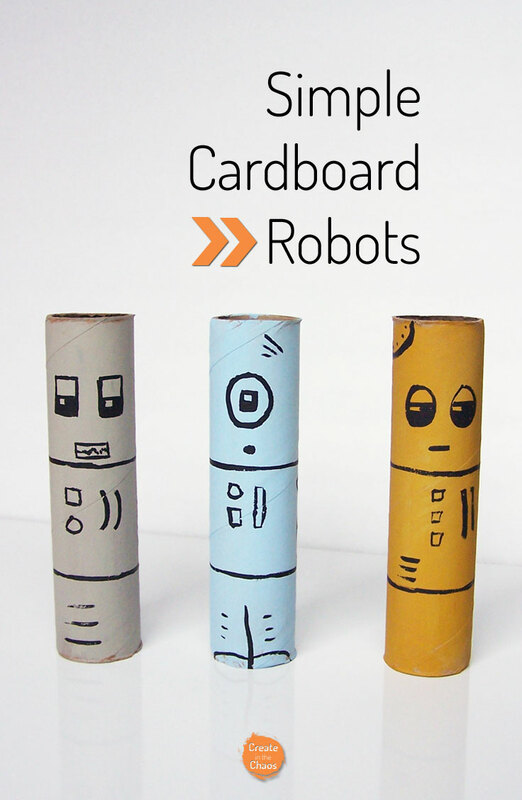 I felt almost silly making a “tutorial” for this – it’s just painting some cardboard tubes. But it was really a fun project to do, and the boys had such a good time playing with them, I decided they deserved their own blog post. 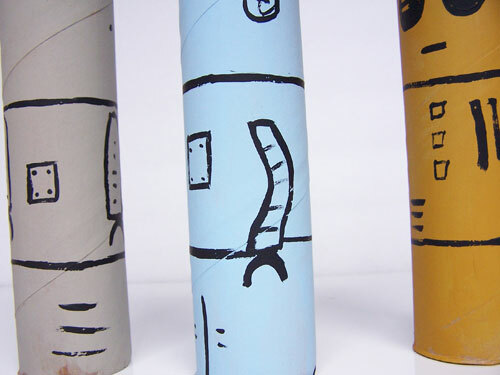 I painted over each tube with some acrylic paint as a base color. Once it was completely try, I went over it with a very fine brush and some black paint to add on the details. If I were doing it again, I think I’d try to use black puffy paint for the details instead, since that gives a little more control than the brush. Puffy paint in small bottles also makes this a lot easier to attempt with kids. Don’t you love that crafting doesn’t have to be complicated to be fun?